If the kids are bored of the same old lunch, try these School Lunch Ideas for Kids. We have 25 Easy lunch ideas for school that the kids will actually eat and love! Sometimes it can be hard to come up with endless ideas for school lunches. 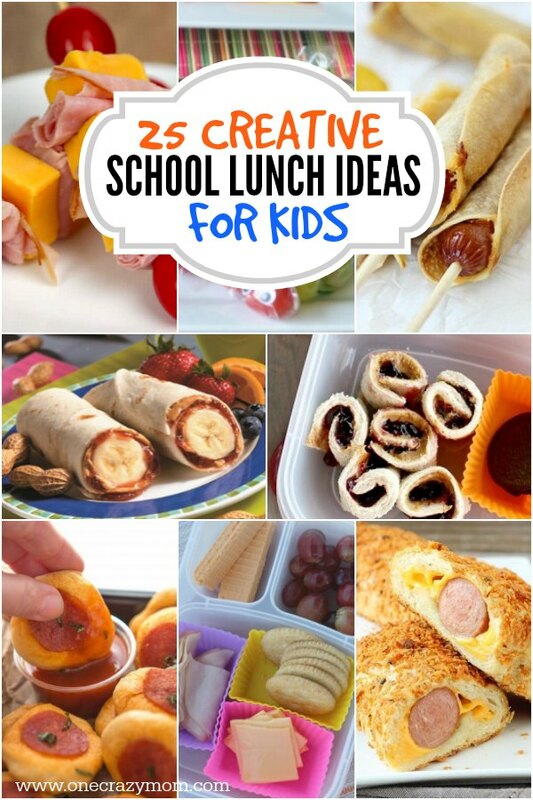 We have 25 creative school lunch ideas for kids that they will look forward to eating. No more boring sandwiches! We have really simple ideas that are far from boring but so tasty and easy to prepare. 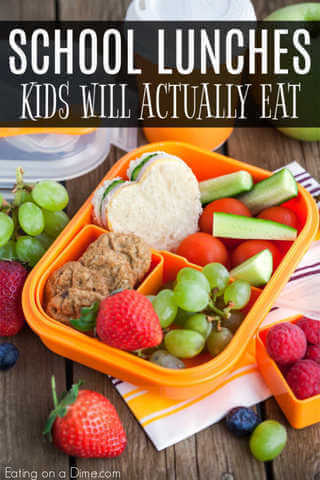 You will not have to worry about getting your kids to eat what is in their lunch box. They are going to love these fun and tasty lunches. When I was growing up, I used to get the same lunch every single day. It was peanut butter sandwiches every single day. Nothing bad, but it did get boring. Despite my survival of boring lunches, I don’t want that for my kids! 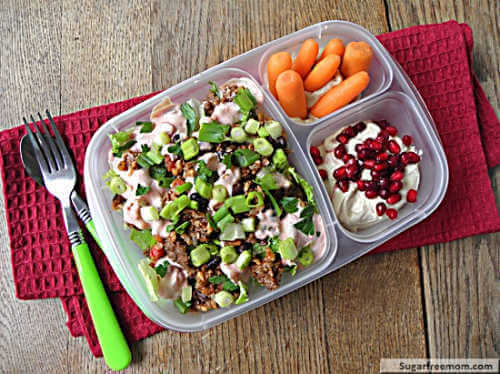 These school lunch ideas for kids will inspire lots of healthy lunches. What are some good lunch ideas for school? I started thinking about some ideas for school lunches and rounded up some tasty ideas the kids are sure to love. Let’s get started with these great ideas! We even have school lunch ideas for picky eaters! So today I’ve put together a list of kids school lunch ideas! 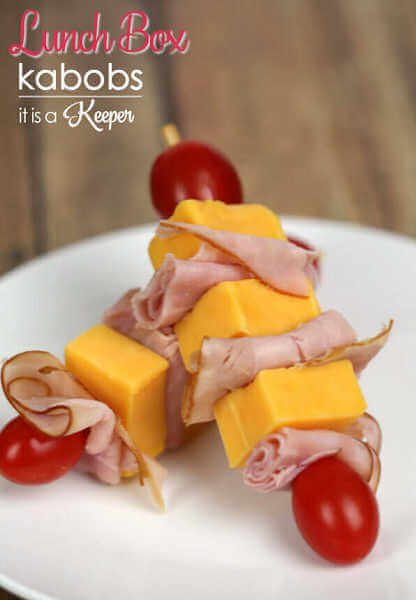 These easy Lunchbox Kabobs are a fun way to mix up school lunches. 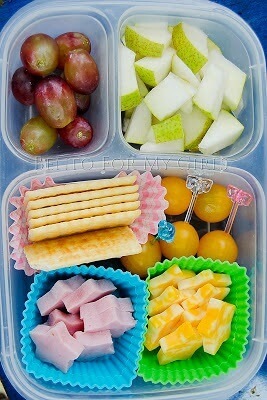 Alternate with your child’s favorite lunch items such as ham and cheese and even wheat bread cubes. Add a few veggies and you have a fun and delicious lunch they will gobble up. At first, my kids were a bit weirded out at first, but then they loved it. My youngest loved the the “I love you” note! 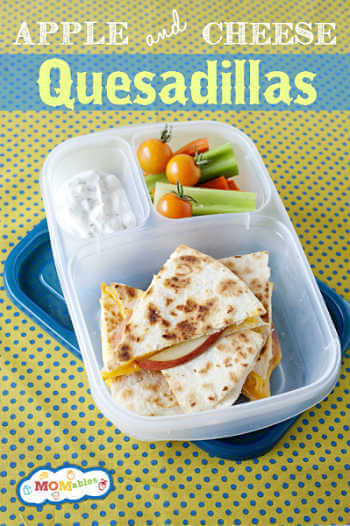 This unique quesadilla is a fun way to get fruit into your kid’s lunch. Your kids might hesitate on this combo but after they try it, they will love it! Corn tortillas wrapped around hot dogs with melted cheese inside. 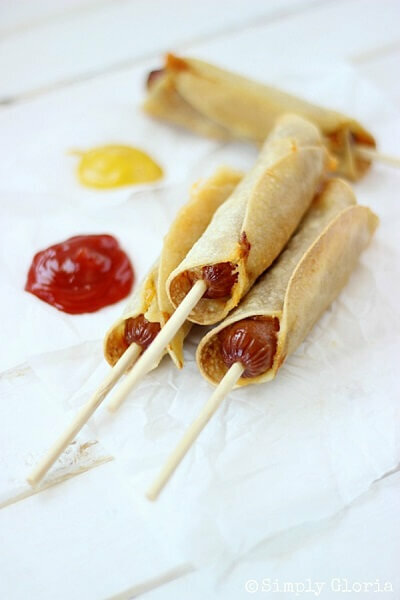 These Baked Corn Tortillas Cheese Dogs are crispy with every bite, and fun to eat! 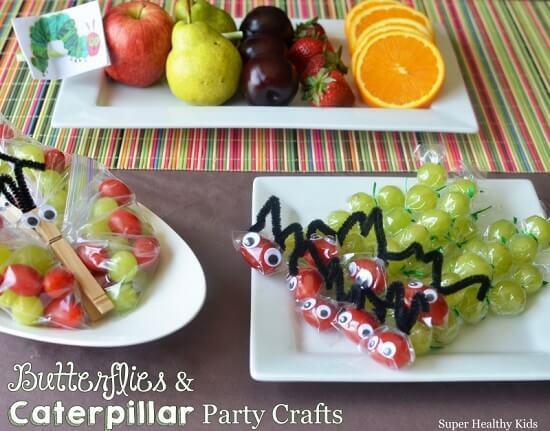 This is such a cute way to get your kids to eat their fruit. This idea is so fun and always brings a smile! This is such a creative take on the classic pb&j. 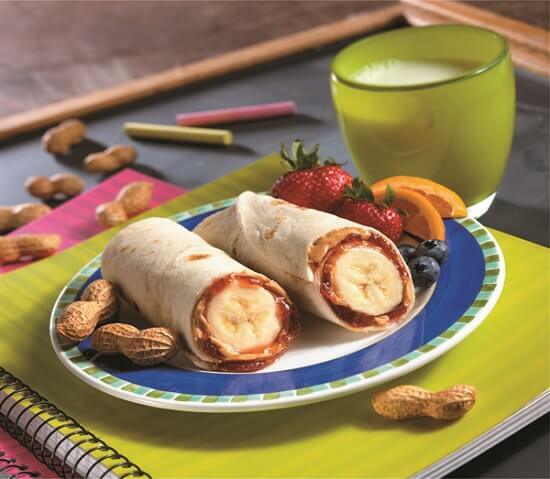 Plus, the banana is filling and a great way to incorporate fruit into the wrap. Making your own unrustables at home is a great way to save money! They taste delicious and help the budget too. Mac and cheese turns into a fancy side dish in this totally amazing (and easy!) twist on the classic! 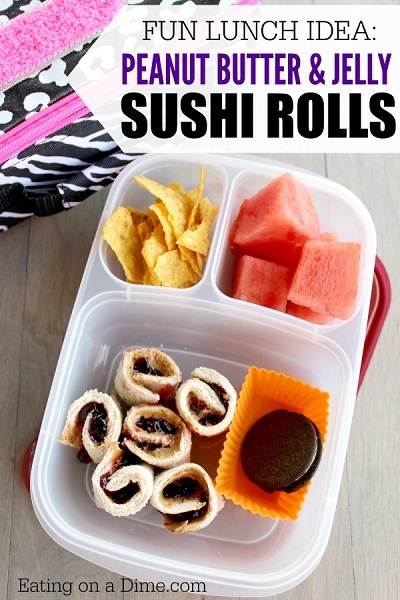 It is so easy to make and a great lunchbox idea. 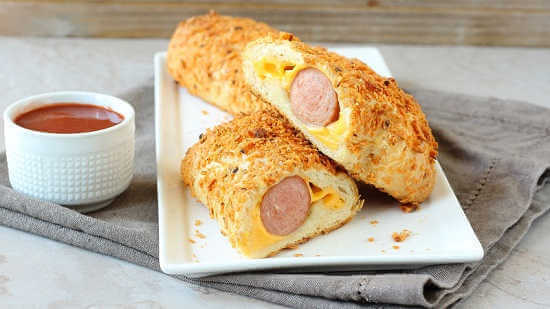 These crescent dogs get a nacho-inspired makeover no one will be able to resist. This is a great twist on a plain hot dog. These are a great option for back to school lunches because they offer a variety of flavors and give the kids something to do as they make their own tacos. 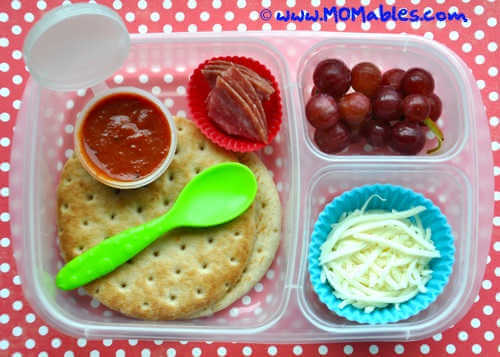 My kids prefer these homemade Lunchable style meals as opposed to store bought. These are not very difficult at all and do you want to know the best thing? My kids love these even more than the pre-boxed variety! 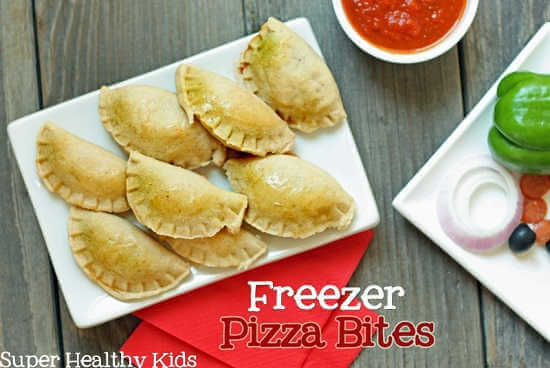 This freezer pizza bites recipe is like the ones you can buy in the freezer section at the grocery store – without all of the preservatives, extra fat, or lack of veggies!! Don’t miss this tutorial on how to pack pizza rolls for your kids! 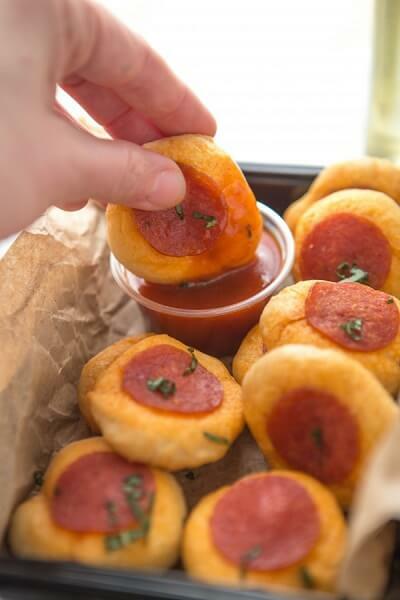 No more soggy or cold pizza rolls with these cool tricks. 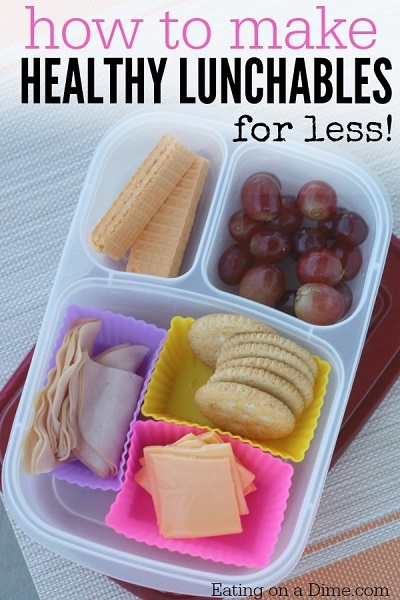 Make your own store bought lunchables that can be customized to suit your child’s taste. They’re easy to assemble and don’t take much time! You can even use a cookie cutters to make fun shapes. You can make this is no time. Literally in NO time have these adorable and tasty sushi rolls. Forget the store bought lunchables, make your diy lunchables with these mini pizzas! This is way better than the pizza you can buy in stores and kids gobble this up. 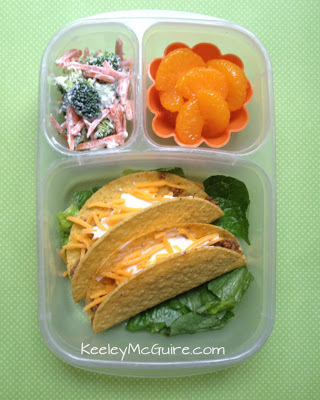 A healthy taco salad for lunch can be yours with just a little planning the night before! This is also a great way to use up taco leftovers from dinner. 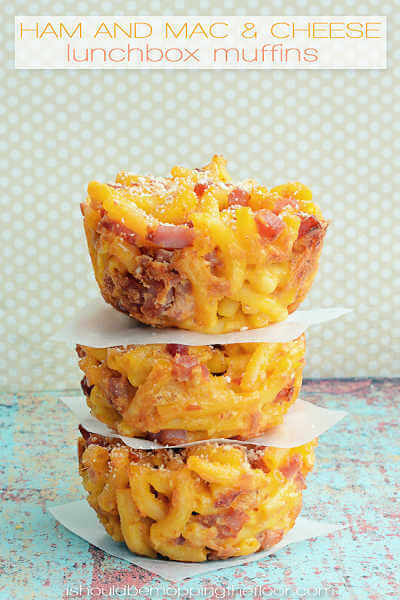 These Ham and Mac and Cheese Lunchbox Muffins will be the envy of the cafeteria. 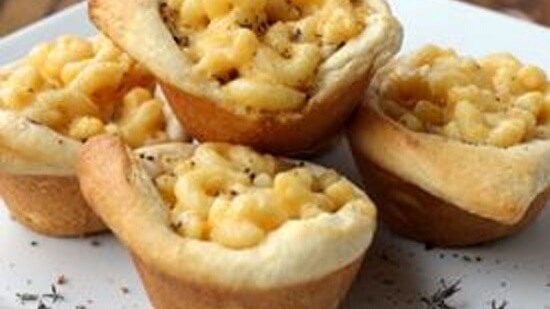 They’re a delicious way to use up leftover mac and cheese. Inexpensive store-bought biscuits are topped with a single piece of pepperoni to make a great lunch idea. 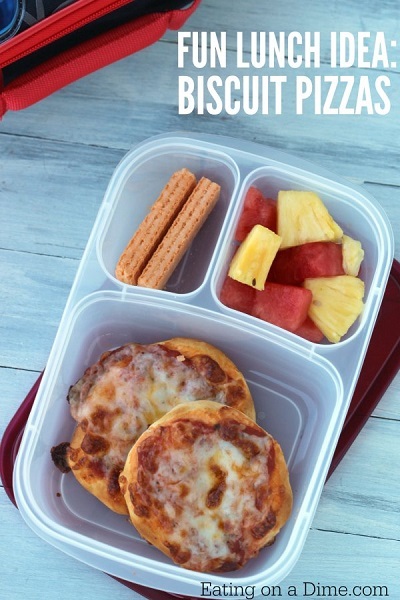 Each one is packed with low-cost pizza sauce for a lunchtime snack your kids will love. This is one of those recipes that everyone should have in their back pockets… and the possibilities for ingredients are endless. The pinwheels can be created a variety of different ways. This is another fun lunch idea that you can eat the night before and then just make extra! Meals you fix one and eat twice are even better. 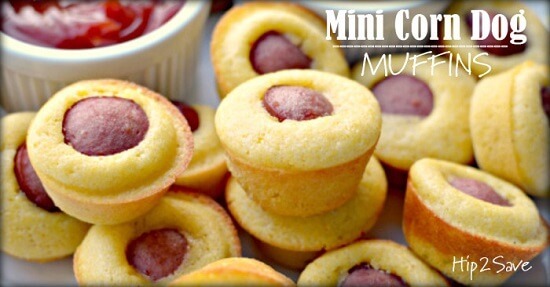 If you love the taste of corn dogs, you are going to love this easy baked homemade recipe for mini corn dog muffins! Kids will love this bite size and tasty lunch. 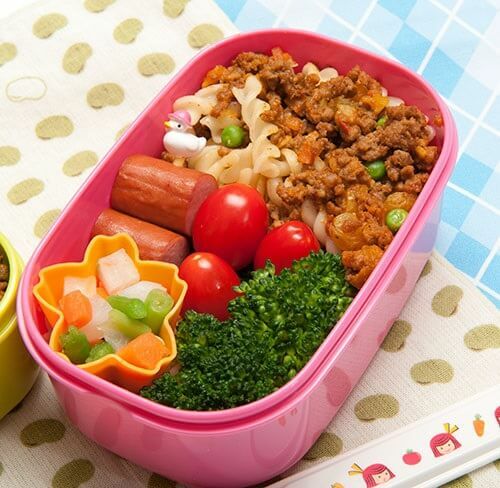 Let your kids get a taste of Japanese culture with these adorable bento box lunch ideas. 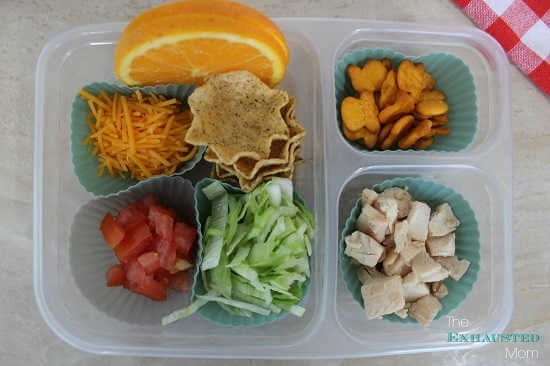 It is a great way to give kids a healthy but delicious lunch. 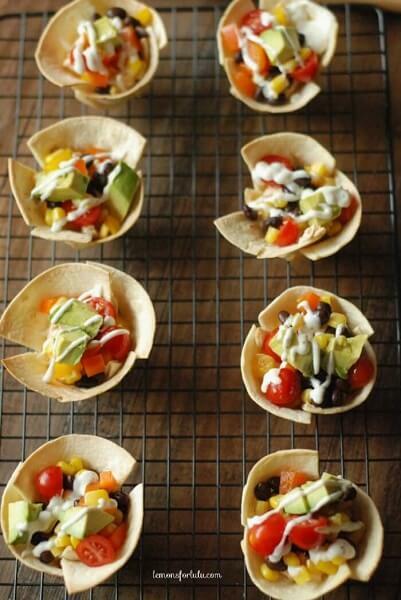 These Mini Taco Tortilla Cups are packed full of black beans, veggies, and a taco flavored cream cheese! Let the kids top each mini cup with all their favorite toppings. Taco night is always a hit in our family! This would be the perfect lunch and a great way to use leftovers. 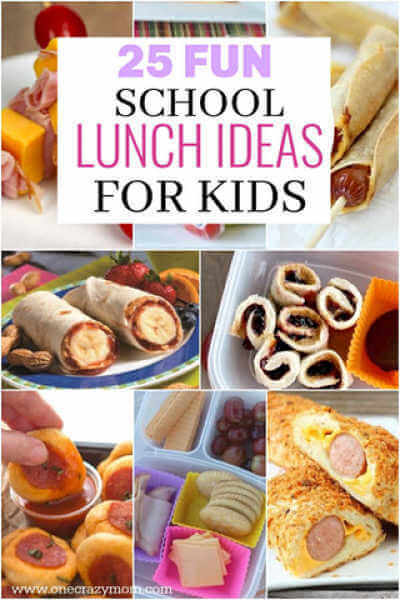 With so many kid friendly lunch ideas for school, the kids will love eating lunch! There will no longer be boring lunches when you can choose from so many fabulous ideas. What should I pack for my child’s school lunch? Choose from these tasty ideas that any child is sure to love. We like to rotate the kid’s favorite ideas so they are always eating something different and don’t get tired of the same thing. 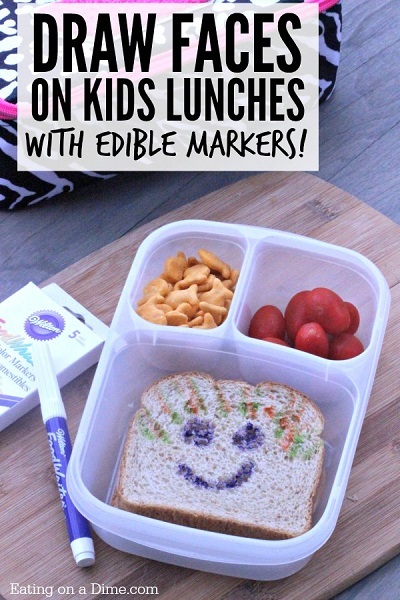 I am loving all of these creative school lunches for kids! Many of these would also make a good afternoon school snack. From pita pockets to taco wraps and pasta salad, there are lots of fun ideas. Jazz things up with a little red pepper, cream cheese and whatever your child will look. Lunches do not have to be boring with plain old sandwiches. 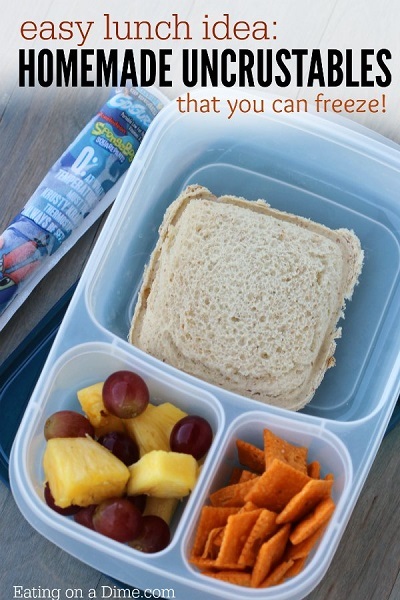 These pre made school lunch ideas are the perfect boredom busters. The kids won’t be complaining about these amazing and delicious ideas. We even use these lunch ideas for kids at home! From teacher workdays to Christmas break and summer vacation, these ideas work perfectly for lunch at home too. 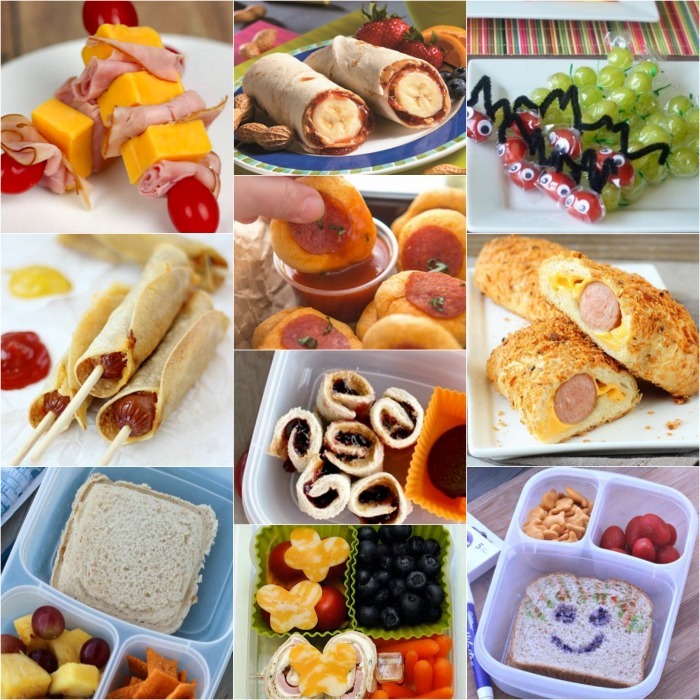 Let us know which of these lunch box ideas for school you try. 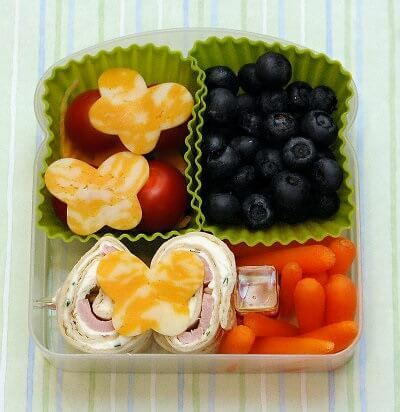 With so many creative school lunches, the kids might just beg to pack their lunch every day! From school lunch ideas for kindergarten to cold school lunch ideas for everyone, there are so many ideas sure to be a hit. How do you keep food hot and cold in the same lunchbox? 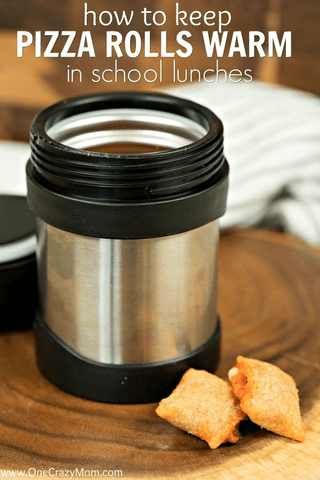 Deb – I like to use a thermos from amazon to keep the warm items in and then I leave the other items that do not need to stay warm in the rest of the lunchbox. It works great!